This special formulation from Americaprovides soothing care to the mouth. 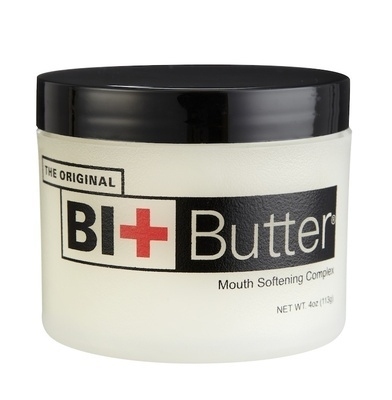 Bit Butter replenishes moisture and restores feeling in dry, callused, unresponsive areas of the horse's mouth. Enriched with a "mouth softening complex" that includes Mango & Shea Butter, Peppermint & Soybean Oil, Vitamin E, Bees Wax & Jojoba. It encourages acceptance and improves focus on the bit - also prevents rubbing of the mouth and helps heal where skin is already broken.